It's 2014; the ‘Frozen’ fandom is ripe amongst kids, How I Met Your Mother aired the final episode, and one AUD could buy you 30.56 Thai Baht at its peak. Fast forward five years - Frozen 2 is about to be released, I’m still not over the How I Met Your Mother ending, and one Aussie dollar will get you 21.042THB. In five years the Thai Baht has gone from strength to strength, leaving us (the all Aussie traveller) with less travel money in our back pocket. To put this into perspective, if you exchanged $2000AUD on the 30th of June 2014, you would be taking an extra ฿19,036THB, or 380 pad thais, compared to if you traded the same amount today. Though it’s unlikely you are planning your next holiday to Thailand five years in advance, or have any idea what the AUD to THB exchange rate will do in that time, it’s pretty apparent how much exchange rates can impact your spending power when overseas. You can try to maximise your spending money by looking at the Australian dollar to Thai baht forecasts. While forecasting indeed isn’t for the faint-hearted, it’s good to have an understanding of what impacts exchange rate forecasts to give yourself the best chance of getting more bang for your baht. If you’re planning on travelling to Thailand in the next few months, we’ve compiled some forecasts below to give you an idea of what you’re expected to get out of your foreign exchange. What does this mean for Aussie travellers? Let’s take the mean as an example. How did they get to these forecasts? 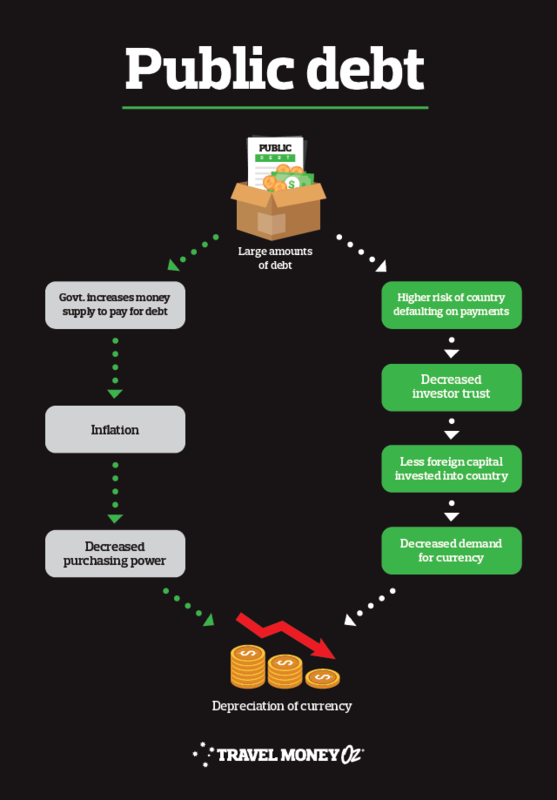 Banks and financial institutions use a heap of data to complete AUD to THB predictions. There are countless streams of data and methods of analysis, none of which are foolproof enough for economists to rely on solely. With this in mind, we recommend considering a few AUD to THB forecasts for a well-rounded view on when to purchase your travel money. In terms of understanding the metrics behind the predictions, the most traveller friendly method is to understand the relationship between macroeconomics and exchange rates. Lucky for you, we’ve put together a crash course on the relationship so you can not only increase your trivia knowledge but also be better informed for the purchase of your THB. Appreciation: When the value of one currency increases relative to another. E.g. If the AUD went from 21.042THB to 30.56 THB, the AUD has appreciated. This means more pad thais and sunset cocktails. Depreciation: You guessed it; this is when the value of currency decreases relative to another. E.g. If the AUD went from 30.56 THB to 21.042THB, the AUD has depreciated. In other words, you’ll be trading the cocktails for the cheaper mocktail alternative. Higher valued currency: Cheaper imports (no more abandoning that online shopping cart), more expensive exports and extra spending money in Phuket. Lower valued currency: More expensive imports, cheaper exports (higher chance you’ll be eating Aussie beef in your Thai massaman curry) and less baht for your adventure. Economic growth: This is the increase in an economy’s capacity to produce goods and services. Growth is generally good, but we don’t want it to be too fast. Good growth is like reading a book on the beach and finishing the day relaxed with a beautiful bronze tan. Bad growth is like forgetting your sunscreen, getting smashed by a wave and ending the day with some gnarly sunburn and a soggy book. 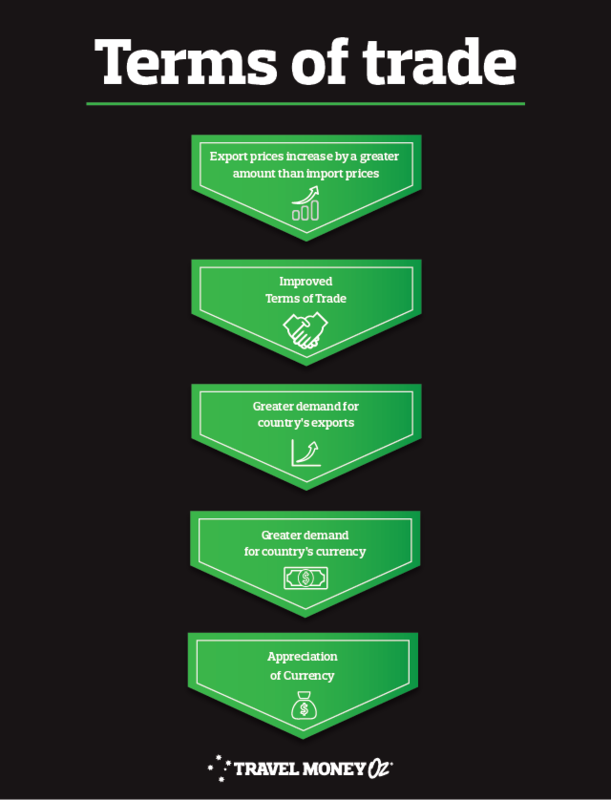 As you can see, there is a multitude of factors that influence AUD to THB exchange rates. It’s best to remember that, ultimately, exchange rates sum up the supply and demand of a currency in an easy to understand metric. 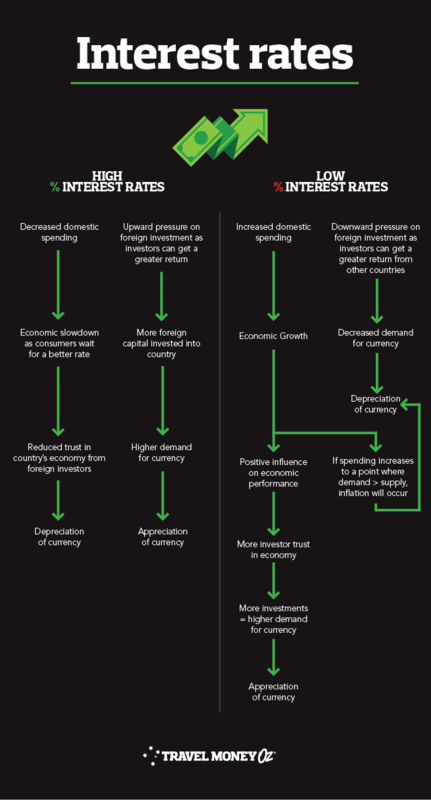 Actual demand is also highly influenced by societies’ perception of the currency’s value. Like most things, economics, politics and the media help formulate this perception. It is also crucial to remember that changes in one country must be measured against changes in the comparison country. All elements interact and influence each other separately, so they need to be considered holistically to get a real understanding of what is going on. For example, while you may have a pretty solid understanding of what is impacting the Aussie dollar, it’s imperative you consider what is happening in Thailand. 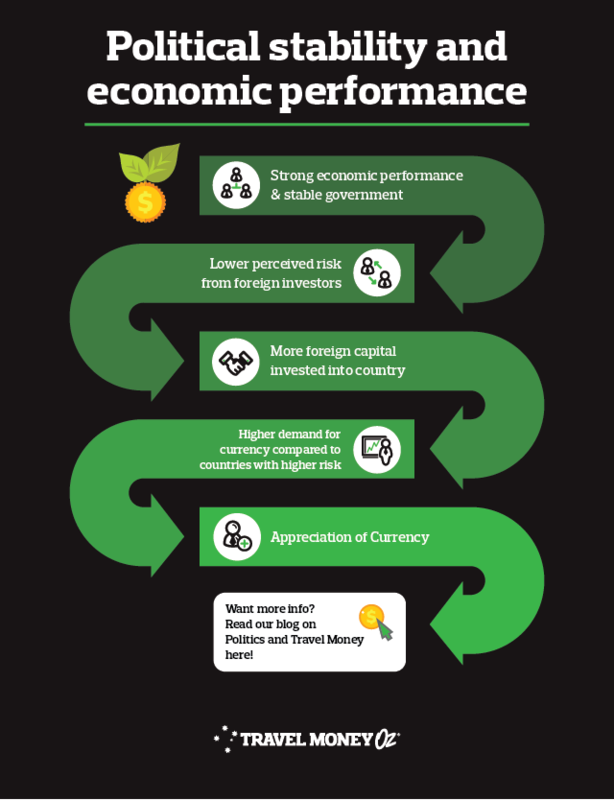 The Thai economy was the best performer in emerging Asian markets in 2018/19, gaining 4.2% against the United States Dollar. The $256million worth of local Thai equities that were purchased in January 2019 bolstered this and was the most massive inflow of income since September 2016. In addition to this, the Thai economy’s account surplus widened to $5billion in December from $1.6billion in November. Ultimately, the combination of strong direct foreign investment, strong account surplus, lower oil prices and an inflation rate of 0.4% is putting strong upward pressure on the value of the Thai baht. When compared to the Australian economy that is witnessing an economic slowdown of sorts, it is understandable why Aussie tourists are getting less baht when exchanging their AUD. From a travellers perspective, we don’t have a great deal of control over how the AUD will perform against the Thai Baht. However, a little bit of knowledge and pre-planning can leave you with some more spending money in your back pocket. Better yet, sign up for currency alerts and let us do the hard work for you. Don’t stress about missing out on a better rate after purchase either! Add Rate Guard to your transaction in store, and we will refund you the difference should the rate change within 14 days. *Prices are approximations based of the difference between mean estimates for AUD to THB in Q1 2019 and Q2 2019. Keep in mind that prices may vary across states and individual vendors. Cost and quantity estimations should be used as a guide only. This blog is provided for information only and does not take into consideration your objectives, financial situation or needs. It would help if you considered whether the information and suggestions contained in any blog entry are appropriate for you, having regard to your objectives, financial situation and needs. While we take reasonable care in providing the blog, we give no warranties or representations that it is complete or accurate, or is appropriate for you. We are not liable for any loss caused, whether due to negligence or otherwise, arising from the use of, or reliance on, the information and suggestions contained in this blog.